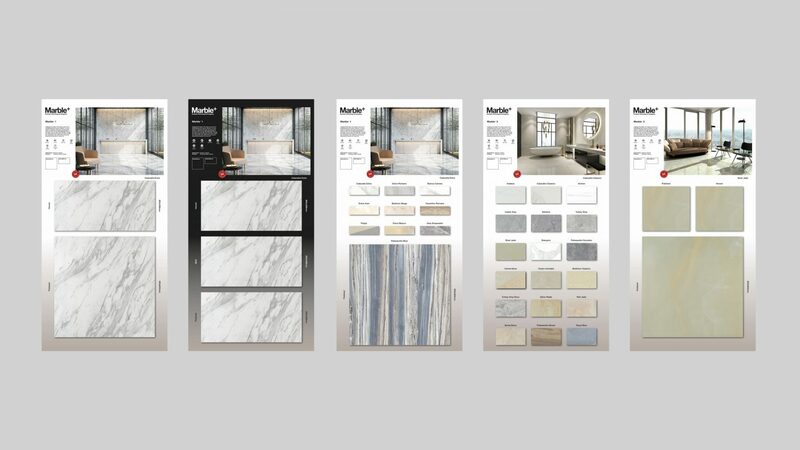 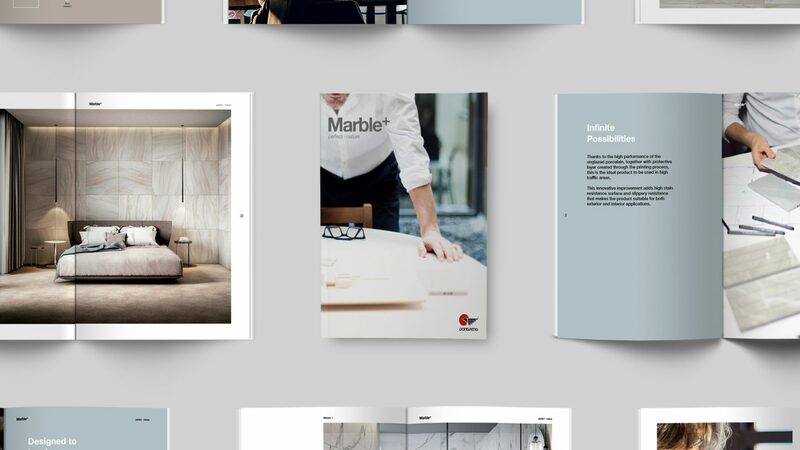 The design work of these product promotion tools is part of a bigger project for Marble + where we also created the visual identity renewal of the brand and produced a commercial video for its advertising campaign. 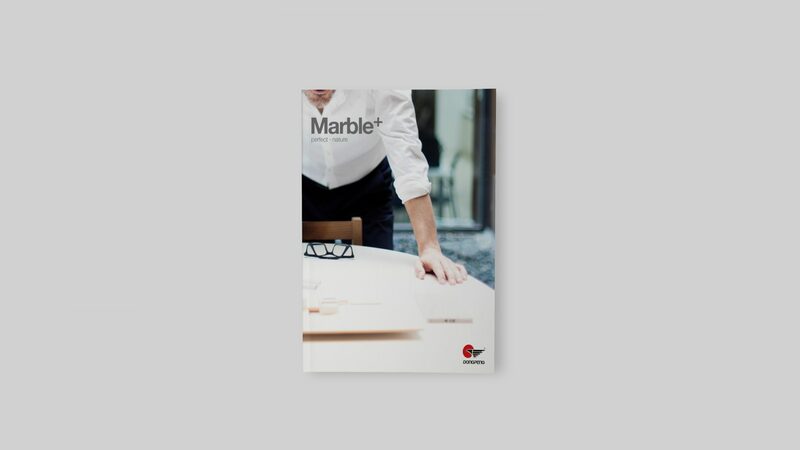 Marble + is a new collection exclusively developed by Dongpeng. 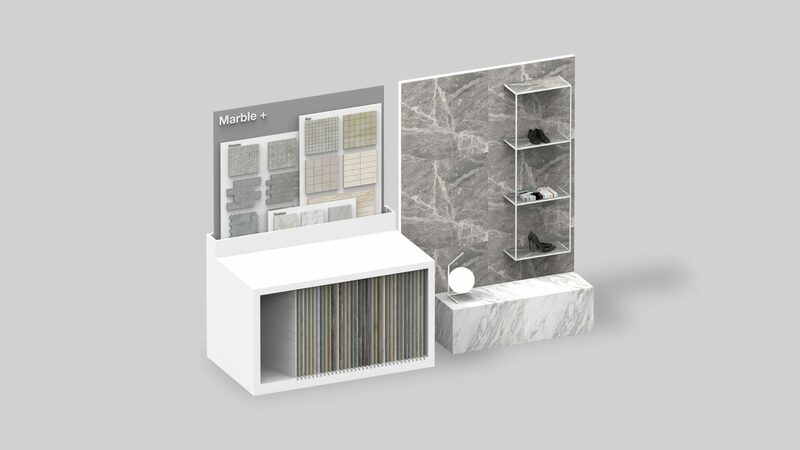 The product range includes a premium selection of marble reproduction ceramics. 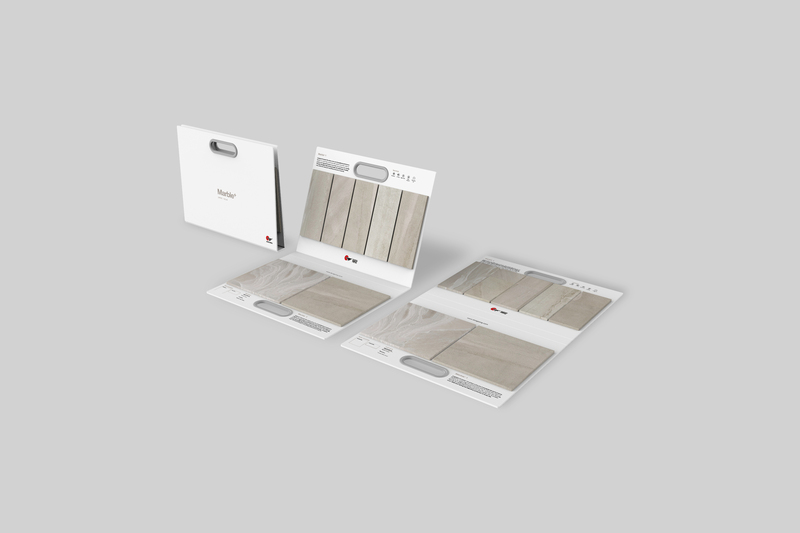 The colour, detail and veining of every tile is uniquely and beautifully reproduced due to their technology components. 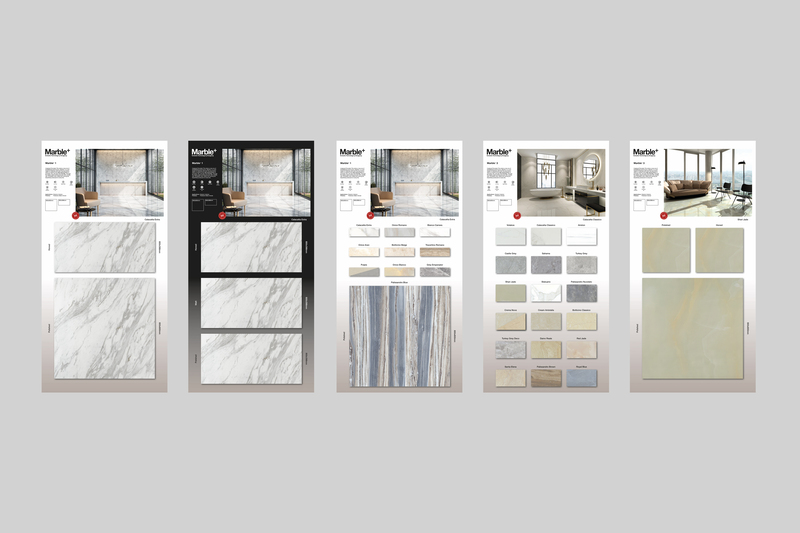 This product is aimed on the contract market like architects and prescribers, so we focused our efforts on creating a complete set of product promotion tools that were ideal for this target. 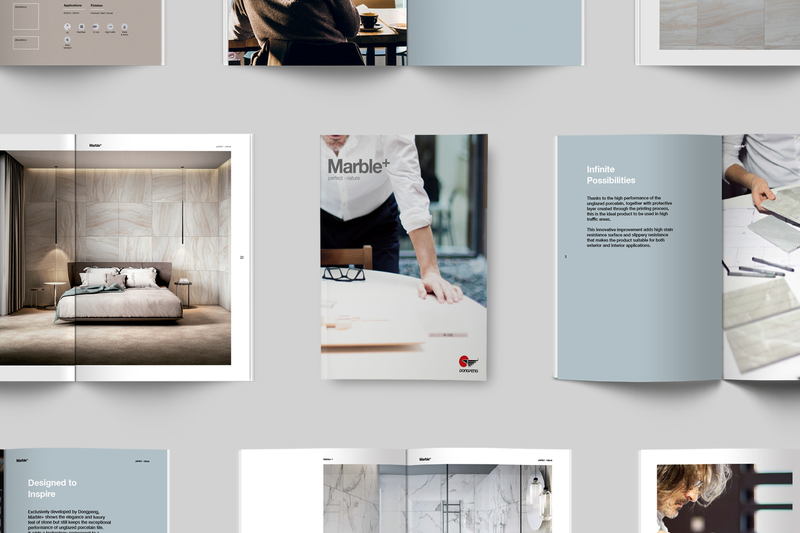 First of all we designed the catalogue for the new Marble + collection, the traditional and perfect sale tool and we also designed the finishing folders and a series of desk tools. 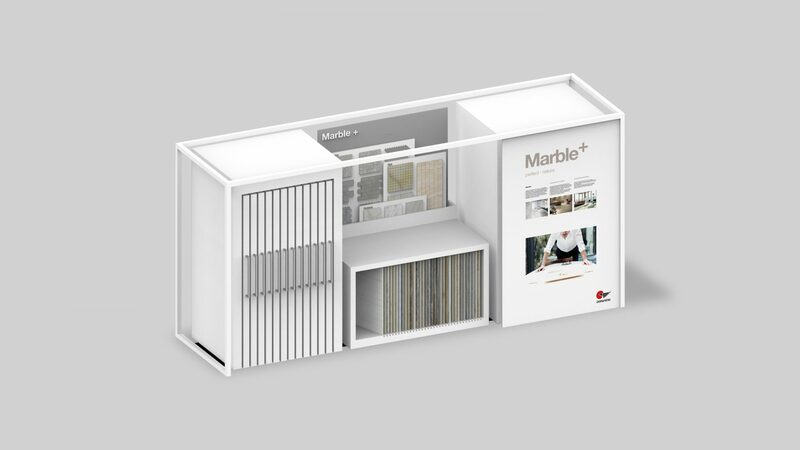 One of the most complete tool, perfect for the target, was the architect box. 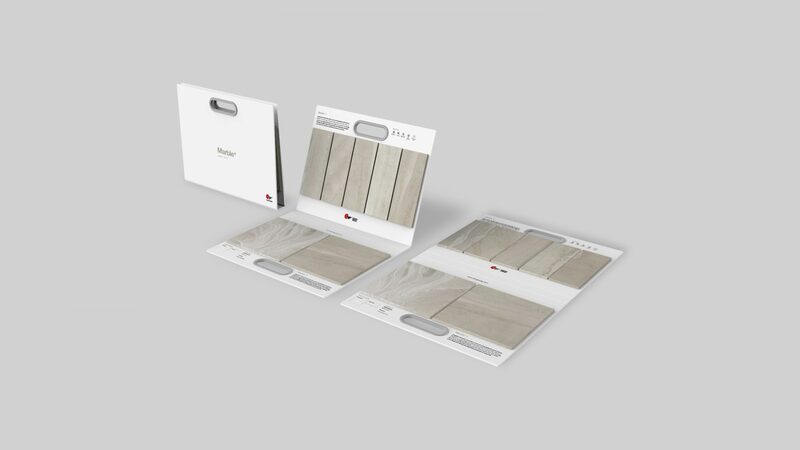 It includes all the samples, finishes, colours and sizes available and also technical information about the product.